Specializing in residential and commercial air conditioner replacement, Fitzsimmons Heating, Air And Refrigeration is dedicated to keeping our clients in Grand Bay cool. No job is too big or small, and we deliver 100% customer satisfaction on every project. 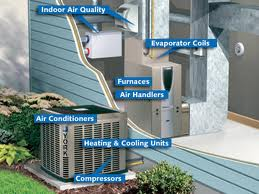 We offer a wide selection of air conditioner makes models at affordable prices. A split system heat pump keeps your home comfortable all year long. In summer, it draws heat out of your home to cool it. In the winter, it draws heat from outside air into your home to warm it saving you money on your energy bills. So whether you need air conditioner replacement for a single unit or an entire office building, our highly trained and experienced contractors will provide the speedy, high-quality service you can always depend on.